Striped Bass fishing remains fair to good but monster Bluefish are making it tough getting to the bass. Large bluefish weighing in the teens are on the reefs, rip areas, and in the major tidal rivers pounding on anything that swims! 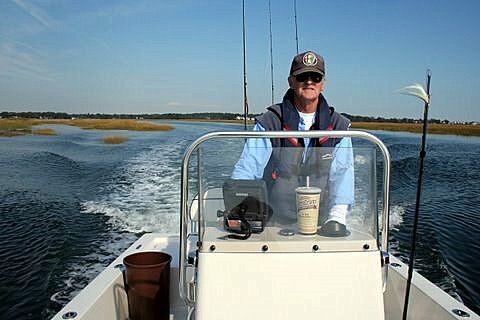 The usual fishing spots include the Watch Hill reefs, Ram Island Reef in Fishers Island Sound, lower Thames River, the Race, Sluiceway, Pigeon Rip, Plum Gut, outer Bartlett Reef, Black Point, the “humps” south of Hatchett Reef, lower Connecticut River, Long Sand Shoal, Cornfield Point, Southwest Reef (outer), Sixmile Reef, Falkner Island area, the reefs off Branford, and New Haven Harbor. Snapper Bluefish fishing is still good in the tidal creeks. Hickory Shad fishing remains good in the lower Connecticut River (DEEP Marine Headquarters fishing pier), Lieutenant River and Black Hall River. Porgy and Black Sea Bass fishing is at peak and remains excellent! Any of the rocky reefs, rock piles, and submerged structure will be loaded with scup. Deep water (80+ feet) reefs or gnarly bottom areas are your best bet for larger sea bass. Blackfish fishing reopened on the excellent side! Any of the rock piles, jetties, breakwaters, and wrecks throughout LIS are holding quality fish. Big tog weighing in the double digits have been reported. False Albacore and Atlantic Bonito fishing is better off the Watch Hill area but it is still hit or miss.